O.J. Simpson’s children have waited for a long time for their father to be released from prison, where he served a nine-year sentence for armed robbery and kidnapping. Arnelle, his eldest daughter, even went to his parole hearing. According to sources, Simpson wants to go to Florida to live with the children he had with Nicole Brown; Sydney and Justin. 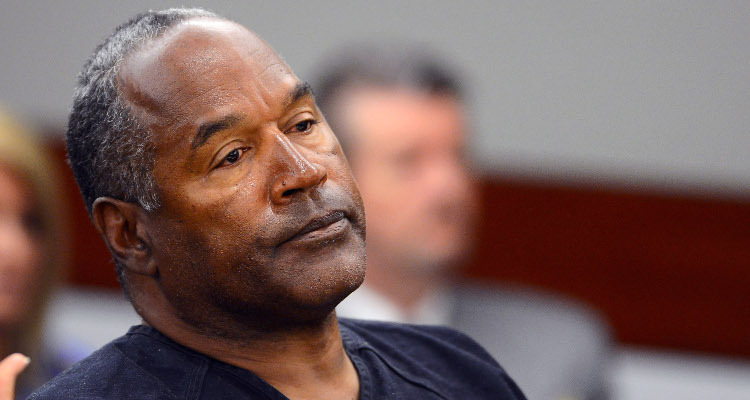 The media is agog with the news of O.J. Simpson’s release, and are eager to know the details. The Nevada Parole Board granted him parole based on his prior record and good behavior on July 20, 2017, and he was released on October 1, 2017, after having served nine years in prison. Even today, Simpson is a controversial figure, as some people are upset at his release. They still feel that justice has not been served for the murder of his ex-wife, Nicole Brown and her friend, Ron Goldman, in which Simpson was the prime suspect for quite some time. People want to know what O.J. Simpson’s kids think about their father’s release from prison and where they are now. Simpson got married to his first wife, Marguerite L. Whitley, in 1967 at the young age of 19, and the couple had three kids together. O.J. Simpson’s children from his first marriage are Arnelle L. Simpson, Jason L. Simpson, and Aaren L. Simpson. But tragedy struck in August 1979 when two-year-old Aaren drowned in the family’s swimming pool. Simpson and Whitley divorced in March 1979. At that time, he was dating Nicole Brown, who worked as a waitress at The Daisy nightclub. Five years following his retirement from professional football, Simpson and Brown got married on February 2, 1985. The couple had two children from their union—Sydney Brooke Simpson and Justin Ryan Simpson. Their marriage lasted only seven years. Brown filed for divorce citing irreconcilable differences in 1992. However, in 1993, the two attempted to reconcile. So, where are O.J. Simpson’s kids now? After Brown’s death, Sydney and Justin went to live with their grandparents. But when they turned 14 and 12 respectively, they were allowed to live with their father in Florida. According to sources, they remained on good terms with Simpson despite the shadow cast over him regarding their mother’s death. And in the nine years that Simpson has spent in prison, he has maintained contact with all four of his children. Arnelle Simpson, his oldest child, has been the most visible of her siblings. In 2008, when Simpson was being tried for robbery, Arnelle Simpson read out a letter advocating her father’s freedom on behalf of all his children. She also got O.J. Simpson’s book titled If I Did It: Confessions of a Killer published, and was accused by Goldman’s family of keeping the proceeds from its sales. According to sources, Simpson may be planning to live in Florida where his two youngest children live. O.J. Simpson’s daughter Sydney Simpson, now 31 years old, lives in St. Petersburg. She operates her own limited liability company, Symspy LLC. Meanwhile, O.J. Simpson’s son, Justin Simpson, works as a real estate agent with the firm, Coldwell Banker. O.J. Simpson’s eldest son, Jason Simpson, lives in Georgia. He most recently worked as a chef at St. Cecilia, a hot-spot in Atlanta. Now that he’s been released after a long nine years on charges of armed robbery and kidnapping, O.J. Simpson can finally spend time with his children.